Our boys need our attention and care. This interactive book will offer solutions on how to deal with bad circumstances by holding on to the steering wheel of hope! It is crunch time! Today we can mold more of our young boys to grow up to be goal-oriented, respectful, honest, confident young men. 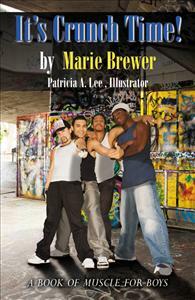 This interactive children’s book is for boys who face great struggles in their daily environment. It offers advice on how they can build good character traits. It also gives some examples of how to build positive relationships within the family, at school, and among their friends. This book does not include many “don’ts. Instead, it shows what they can do to handle difficult situations. The author writes this book to assure our boys that hope can be attained with prayer, encouragement, and persistence.